For many decades, people have continued to improve their weapons. And the improvement on these weapons has made their use more efficient and precise. Although weapons developed today are capable of destroying thousands of harmless persons in a single fell swoop, some of the most expensive pieces in human history do maintain their historical significance, specialty, and romance. The improvement of weapons today means more safety for the users and less collateral damage to people and society. When it comes to safety of our soldiers, money is never a subject; they some of the most expensive weapons of all time. Have a look at the list below. 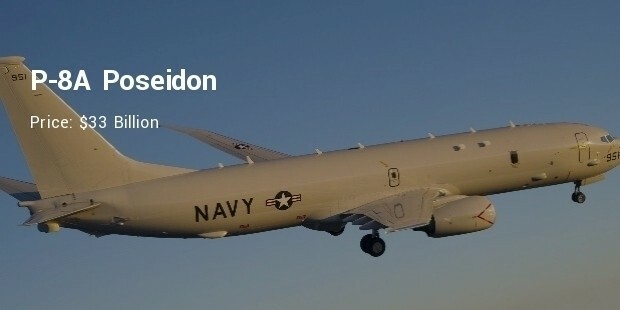 P-8A Poseidon, primarily designed to replace the PC-3 Orion, has a net value of $33 billion. It is a surveillance jet armed with MK 54 torpedos which make it powerful and one of the latest. 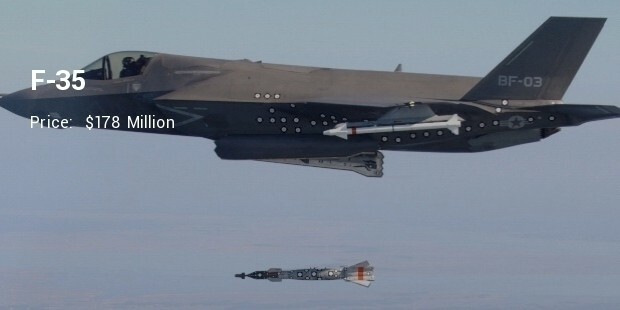 The Jet features all the latest technology and modern equipments like very powerful wings to hold heavy missiles. 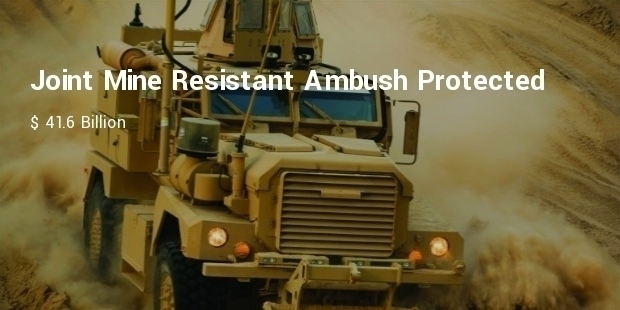 Joint Mine Resistant Ambush Protected vehicle is one of the most effective bulletproof weapons. The weapon was made during the Iraq war with an aim of protecting army officers from bomb shelling. Furthermore, this protected vehicle is one of the most expensive and one of the most effective weapons ever used in wars. It has a net worth of $41.6 Billion. 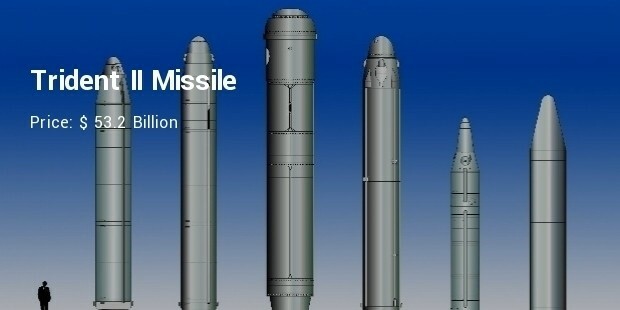 Trident II Missile is one of the most advanced weapons of all time. It is the most recent model of the Navy ballistic missiles and has a price tag of $ 53.2 billon. It is a very large weapon of around 80 tons and 44 feet. The weapon is also very powerful. This is not only the most expensive warplane in the world, but also the most expensive weapons program. One Air Force F-35A costs $148 million, a Marine Corps F-35B costs $251 million and a Navy F-35C costs $337 million. The generic F-35 costs $178 million. 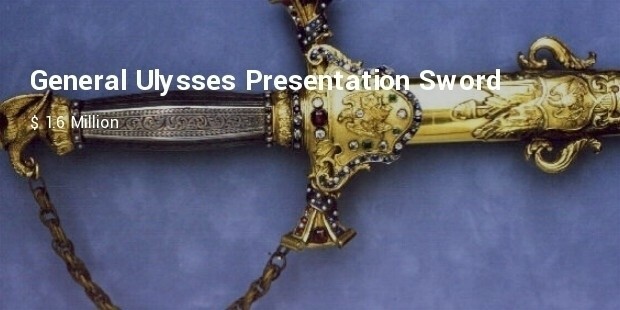 The sword presented to Ulysses S Grant in 1864 during his promotion to the position of General in Chief of the United States Armies is among the most expensive weapons in the world. The sword has 26 mine cut diamonds designed to form ‘U.S.G’ – Grants monogram. The royal blade sold at Sotheby’s in 2007 is another expensive weapon. 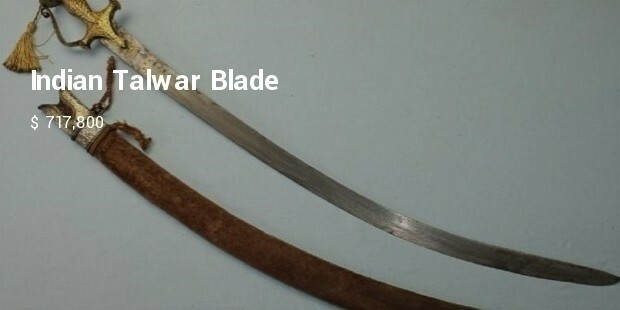 It is a European blade which is slightly curved. It has a beautified gold inscription and decorations. Further, the sword is decorated with lotuses and poppies. Mughal Emperror Shah Jahan is believed to have owned this weapon. This sword is worth lots of cash mainly because of the person who owned it. 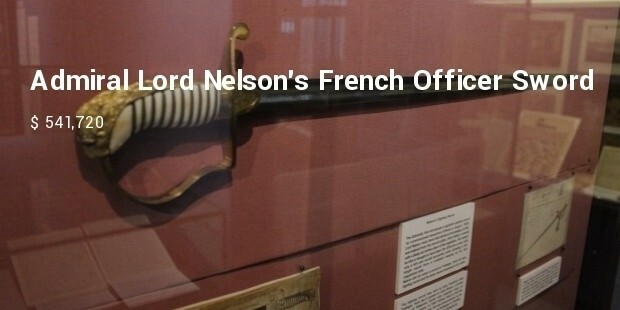 The sword was discovered in a collection named Nelson’s Purse. Other items found in the collection included jewels, Weaponry, documents and medals Nelson owned. With the modern technology, man is able to develop weapons of any kind. There are many weapons including some, which are made for protecting our military and others for cultural and ceremonial purposes. All communities around the world have valued weapons of their own.